75% cacao wrapped square, single origin. 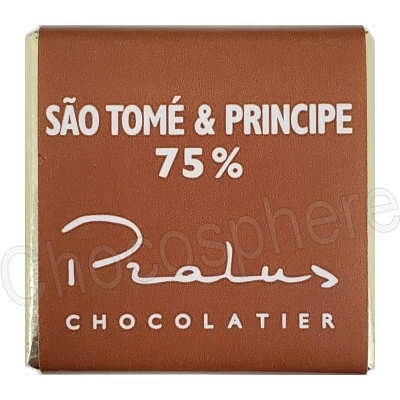 François Pralus' Sao Tome & Principe dark chocolate squares are made with single origin Sao Tome & Principe Forestero cacao. This chocolate is intense, with fruity and spicy flavor notes, and a nice long finish. Each square is approximately 5g, a perfect size for a single taste. 75% Cocoa. 5g / .175oz net weight.